New York: Simon and Schuster, 1963. 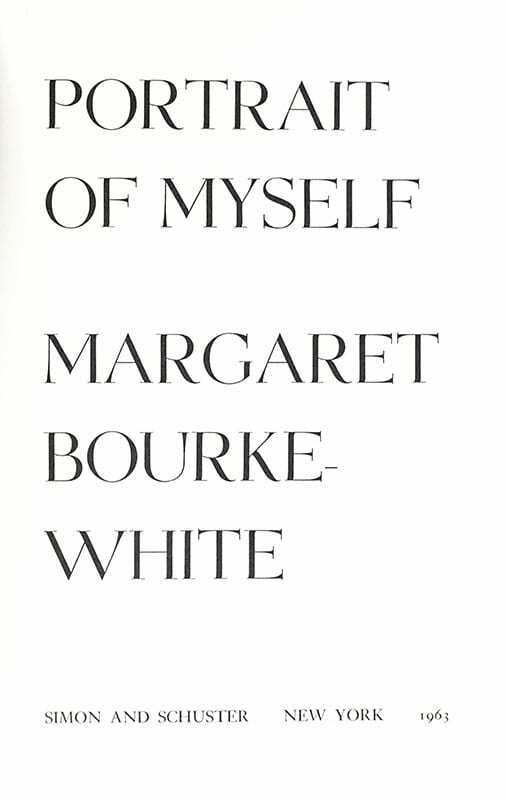 First edition of American photographer Margaret Bourke-White’s later autobiography. Octavo, original half cloth, illustrated. Signed by Margaret Bourke-White on the front free endpaper. 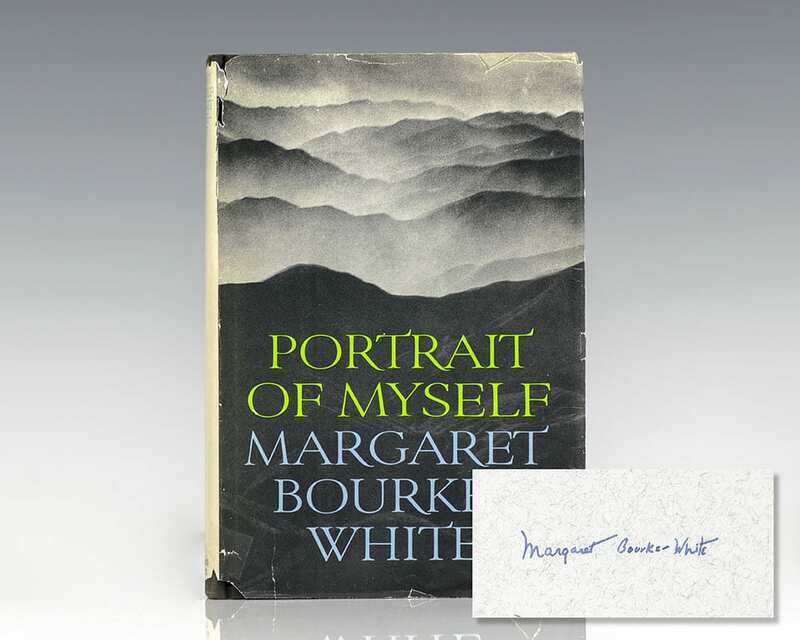 Association copy, from the library of fellow female American photographer Marie Consindas with her ownership signature to the half-title page. Marie Cosindas became best known for her evocative still life and color portraits. She was one of the first photographers to incorporate color photography into her work, which distinguished her from other photographers in the 1960s and 1970s. In 1962, Ansel Adams recommended Cosindas to Polaroid for their artist trial of their new instant-developing color film. She was the fifth woman to have a show at the Museum of Modern Art in New York in 1966. Near fine in a very good dust jacket with some wear. Jacket photograph by Margaret Bourke-White. Jacket photograph of the author by Alfred Eisenstardt. Jacket design by Ken Brarer. American photographer and documentary photographer Margaret Bourke-White became the first American female war photojournalist in 1930 when she was the first foreign photographer permitted to take pictures of Soviet industry under the Soviet's five-year plan. Bourke-White's photograph of the construction of the Fort Peck Dam graced the cover of the first issue of Life Magazine dated November 23, 1936 which became the 1930s' representative in the United States Postal Service's Celebrate the Century series of commemorative postage stamps.